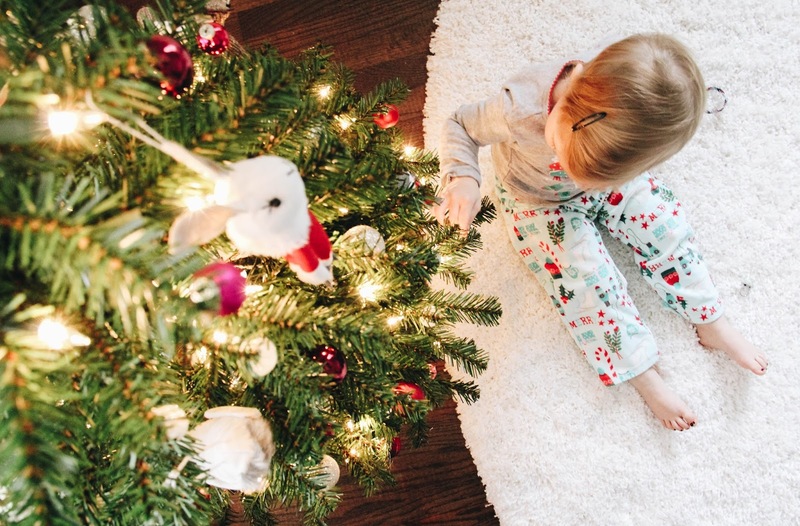 As wonderful as the holidays are for me, they are even more magical through my toddler's eyes. She has been pure joy to watch while taking in the twinkling lights, holiday music, and festiveness around her. We decided this year, we would put a pint-sized Christmas tree in her room. And y'all, this girl of ours has not stopped telling us how beautiful her tree is. It's absolutely the most darling thing. 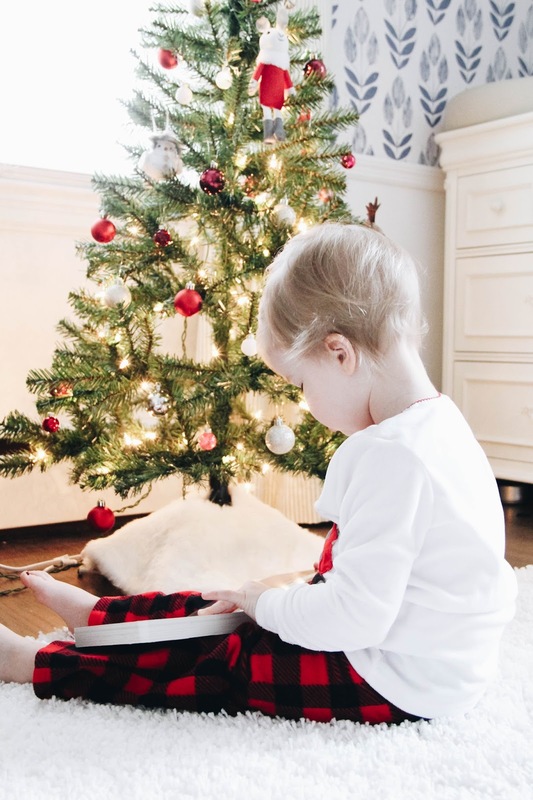 She will sit and read book upon book by her tree, graze the ornaments ever so gingerly, or point out the woodland critters nestled int the branches. I think my favorite, though, is when she lays out on her belly, feet in the air, adoring her tree. Of course, it's all the sweeter, when she's tucked into Christmas pajamas, our favorite way to ring in the season. We are holiday-lovers in the Hill house, and nothing spreads a little holiday cheer like festive clothes for the season. 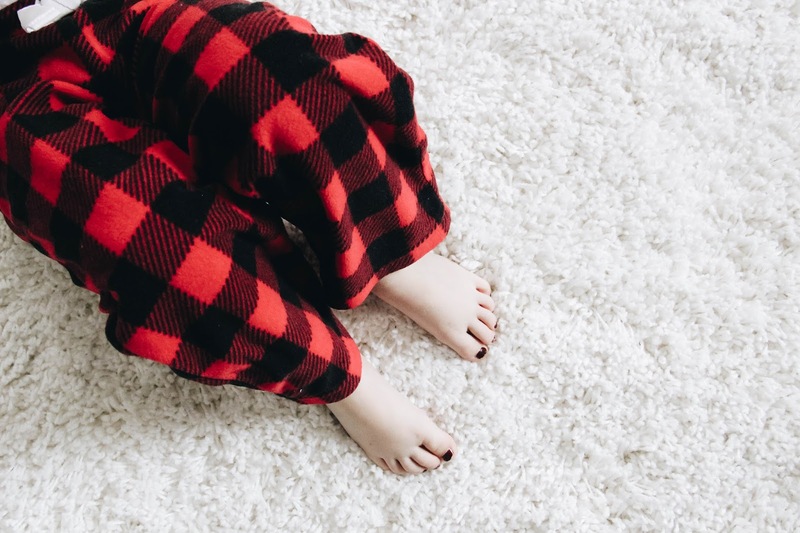 With cold temperatures and cozy, winter days, we often find ourselves relaxing at home in our pajamas. 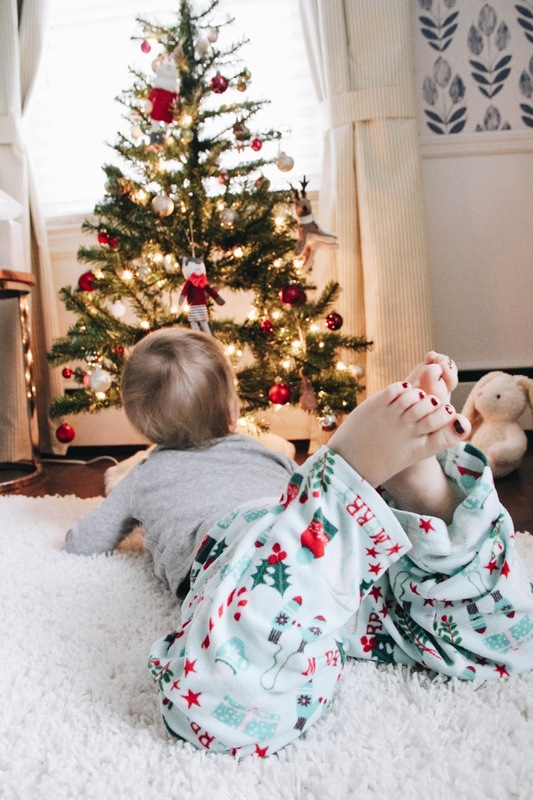 At this time of year, we think it's even better when our pajamas are geared for the holidays. As we begin prepping for Christmas, be certain that we all have our fair share of comfy, Christmas jams. 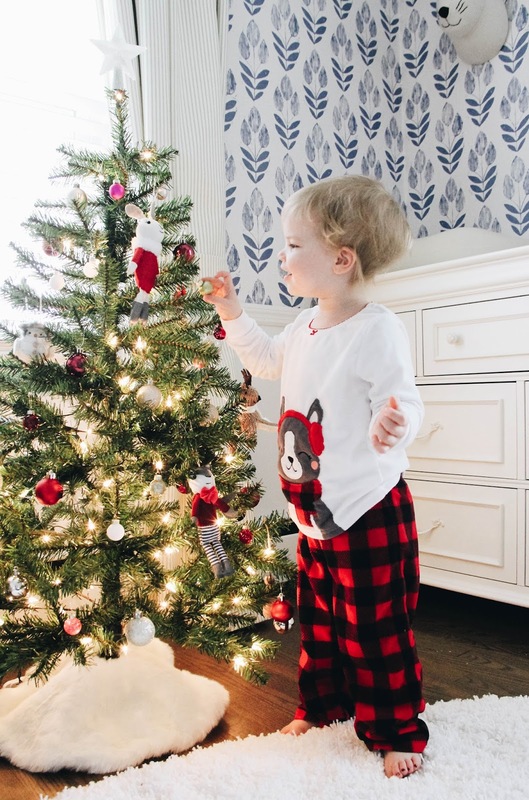 Greer's dresser is stocked with adorable holiday pajamas from Carter's, our go-to shop for affordable and quality pjs all year through, and I can't wait for all the sweet Christmas moments we'll share with her while she's sporting her Christmas jammies. Not only do we love the comfort and style of Carter's pajamas, but we love their heart too. 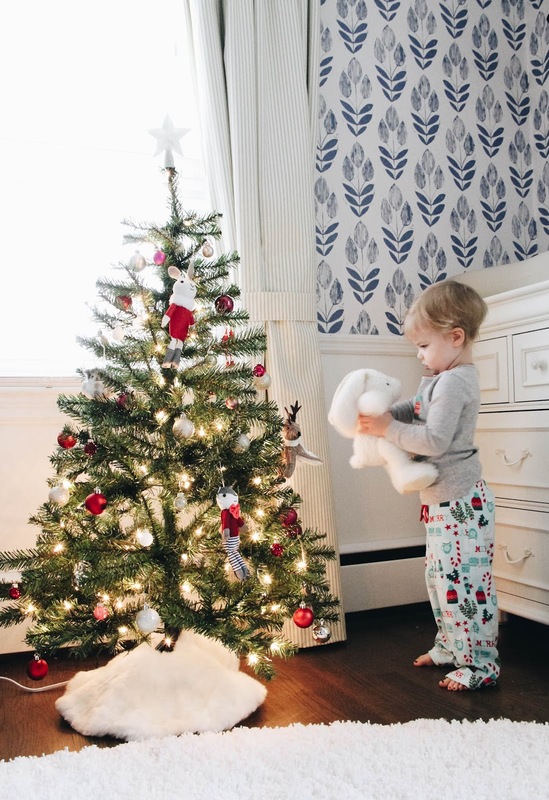 By partnering with the Pajama Program, an organization that provides children new pajamas from November 1 - December 31, Carter's helps give countless children a cozy night's sleep. You can donate a pair of pajamas in-store or make a monetary donation at checkout (in-store or online). Carter's will match up to 100,000 pairs of pajamas! The best part, your local community benefits directly from your support. If you couldn't tell, a certain little someone (and her mama) are loving these Christmas pajamas! Check out the assortment Carter's offers. 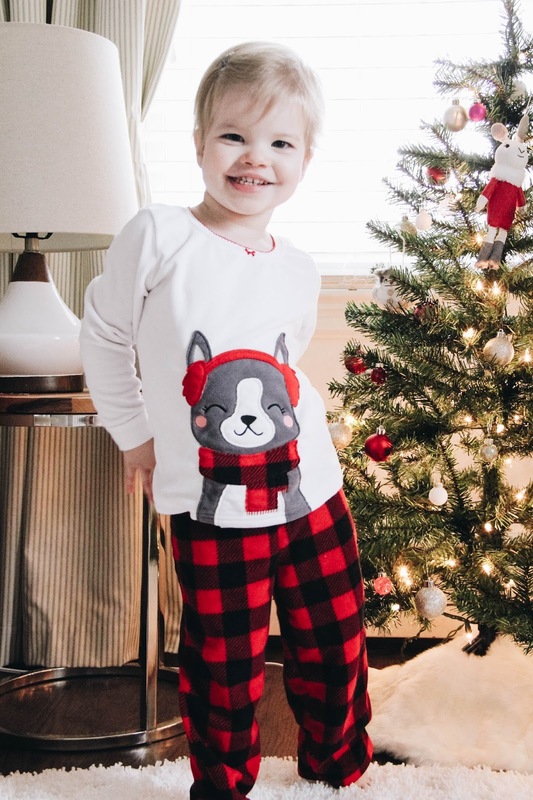 Equally cute and comfy, are Carter's holiday clothes for this season. 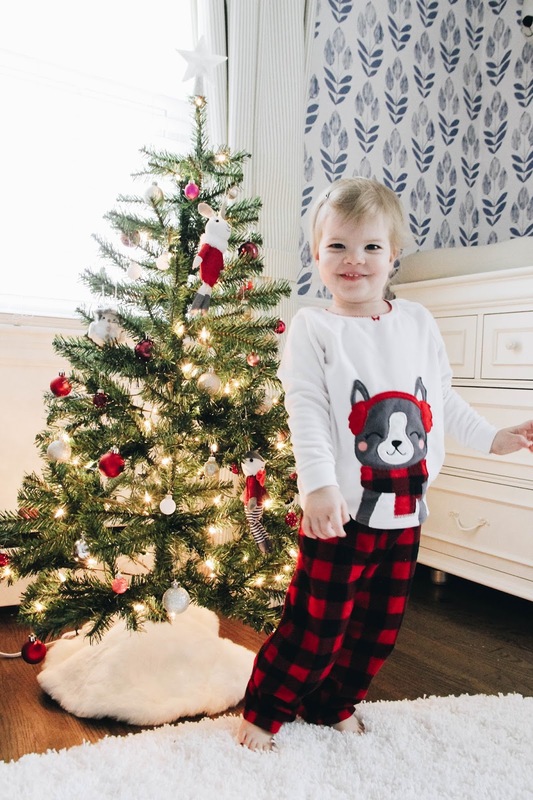 Whether you're dressing your little for a simple day at home or a holiday soiree, Carter's has the sweetest collection of holiday wear. Carter's will have can't-miss Black Friday deals beginning November 17. If you're looking for the perfect holiday gift for a little in your life, be sure to stock up then! And to top it off, Carter's and OshKosh B'gosh are giving away over $700,000 in Dash Cash to the first 100 people to visit their local Carter's or OshKosh B'gosh store for the Dash In to Win Sweepstakes on Black Friday. Check your local store to confirm the date. Additionally, customers will receive a gift from Shutterfly on their $40+ purchase that day. For official rules, read more here! On your next purchase, take 20% off of $40 or more, in store or online, through December 31. Some exclusions apply: see those here.